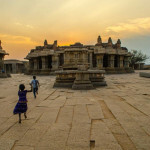 Come away on a magical journey that will unfold the beauty of Hampi to you from the best vantage point, even as the rising sun spreads its warmth on the blessed lands. This tour will allow you to experience the joy of a beautiful sunrise while engaging in stories about the land and its people. We will travel on coracle boat, hike up a hill, hear mythical stories, ride mopeds through the countryside and enjoy sumptuous local breakfast on the way! 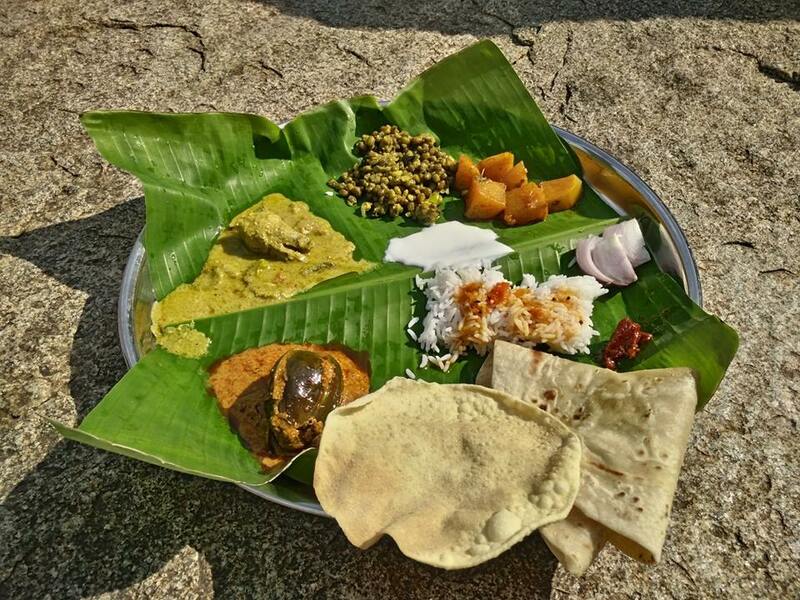 Optionally we can also arrange a delicious home-made meal and serve it to you on a banana leaf. 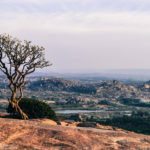 Matunga hill is one of the highest points with the best views in all of Hampi. 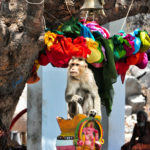 The place is of great religious significance, it is believed that the great sage Matunga muni resided and meditated here. 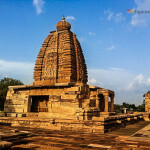 The surrounding area is believed to be “Kishkinda” mentioned in the great Indian epic of Ramayana. 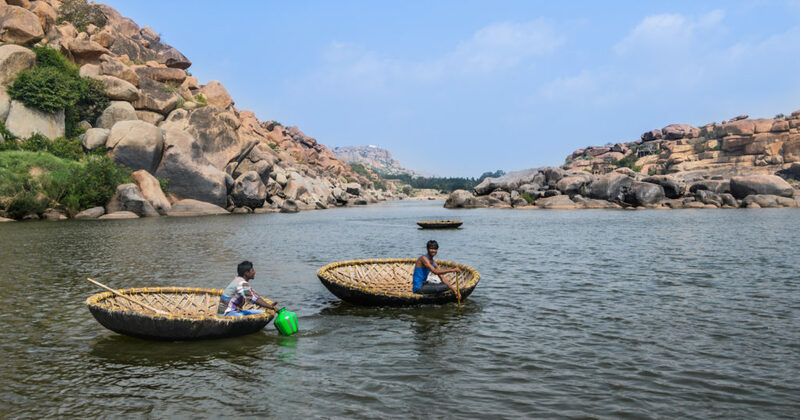 Every boulder, cave and water body here has a story to tell! 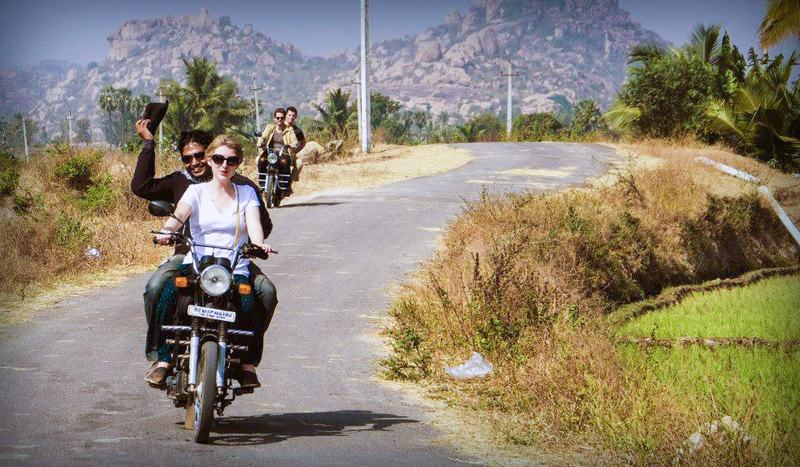 We will get onboard mopeds and continue our exploration of the region and its unique landscapes. We meet at the start point and walk to the foothills of the Matunga Hills. We begin our accent and should reach the top in time for a stunning sunrise. Once at the top your guide will tell you about the unique landscape and its geology. You will learn about the unique flora & fauna. You will be engaged in different folk stories associated with this land. 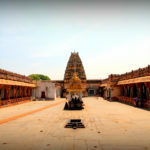 After spending some quality time exploring the Matunga hill we will descend the hill and walk towards the riverside through the Achutaraya Temple ruins. At the edge of the river we will take a coracle boat across the river to village named Hanumanahalli. The path winding through Rishimukha will have to covered on foot. Once we reach the village an auto rickshaw will take us to a local tea shop for breakfast. Post breakfast we will board our mopeds and start exploring the area. 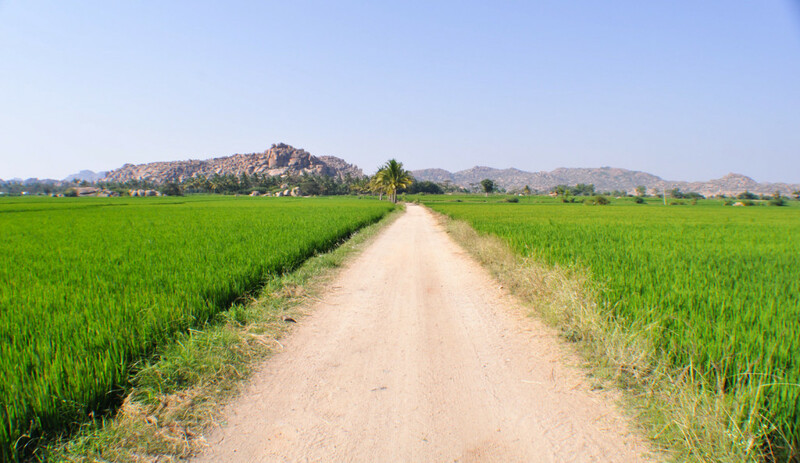 We will visit lakes, irrigation canals, agricultural valleys, temples and caves. At the end of your tour if you wish to enjoy delicious home made meal at a scenic location in the outdoors then choose this option. 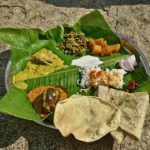 We have a family from Anegundi village cook mouth watering local delicacies for us, made from locally sourced ingredients. 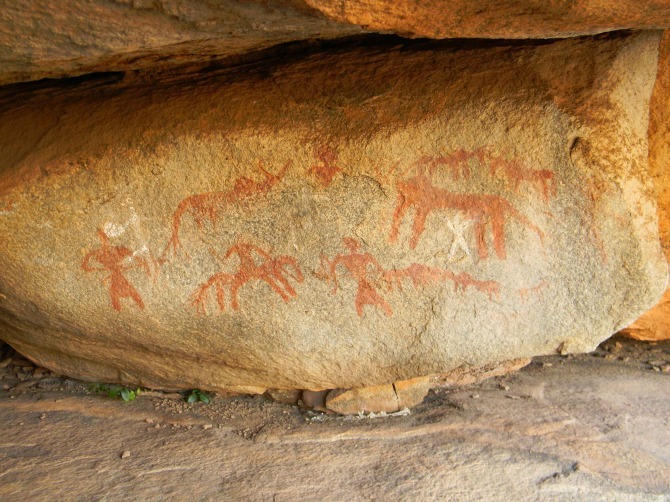 We will also explore ancient cave paintings and engage in some soft adventure exploring caves as part of this optional add-on. It will be a perfect flourishing end to your tour. Farmers rely on cattle for a number of things in this region. The male bulls are used to till the farm land before sowing seeds. Rest of the time these bulls pull carts that carry people of goods short distances. We are giving you an opportunity to experience this slow paced transportation method through the countryside. At the same time we are providing farmers with additional income opportunity.